According to a new government report, the number of work visas issued to foreigners in Brazil continues to fall, down to 25,937 last year, more than a 14 percent drop from 2016 and a stark 58 percent decline since 2013. RIO DE JANEIRO, BRAZIL – The number of work visas issued to foreigners in Brazil has tumbled 58 percent in the past five years, falling from 61,842 in 2013 to only 25,937 in 2017. Last year’s figure also represents a 14.5 percent decline from 2016’s total of 30,327 foreign work visas issued–the sixth consecutive year of such declines. 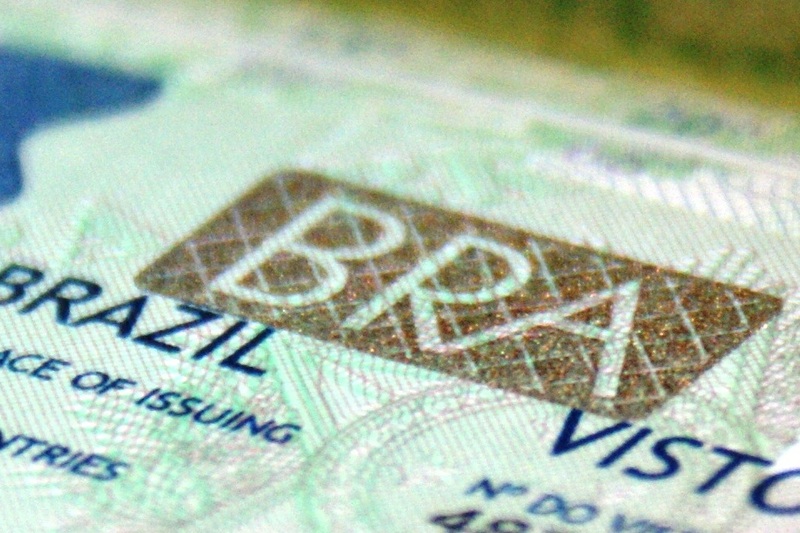 The number of work visas issued to foreigners in Brazil has tumbled 58 percent in the past five years, photo internet reproduction. The latest figures were published in a new annual report from Brazil’s Ministry of Labor and Employment titled, Migrações e Mercado de Trabalho no Brasil (“Migrations and the Labor Market in Brazil”). “Comparing 2017 with 2011, for example, less than half of the work permits were granted in 2017, which can be understood as a consequence of the economic difficulties experienced by the country in recent years,” read the report. With the U.S. and Europe facing their own economic crises back in 2011, followed by Brazil’s successful bids to host the 2014 World Cup and the 2016 Olympic and Paralympic Games, thousands of foreign workers and investors flocked to Brazil between 2011 and 2013. According to the data, in 2011 the number of foreign work visas issued in Brazil climbed to almost seventy thousand (68,693). Over the next two years, the figures showed nominal declines but continued to stay north of sixty thousand. Then, in 2014, as the country began to enter the throes of its own deep recession, the number of foreign work visas in Brazil nosedived to 46,740 and continued its steep decline tumbling to below 26,000 last year. Among last year’s totals, the country that received the most work visas was the U.S., with 5,098 work visas issued comprising almost twenty percent of all foreign work visas. Immigrants from the Philippines were the second highest recipients with 2,127 work visas issued, followed by British immigrants with 1,827. Those top three countries with the highest number of foreign work visas (the U.S., the Philippines, the U.K.) have remained unchanged since 2011. The Ministry noted the number of work visas issued to the rising fast Chinese population in Brazil. “Another highlight of 2017 was the increase in the number of permits for the Chinese,” said the Ministry. In addition, the report showed that the vast majority of work authorizations granted last year were for men, 22,537, generally between the ages of 20 and 49 (80.3 percent). Only 3,399 of the foreign work visas issued were to women. Regarding the immigrants’ qualifications, over half of them held a university degree (some 13,400) while another significant portion (10,700 approximately) went no further than high school. Unsurprisingly, the Brazilian states for which the highest number of work visas were granted in 2017 were Rio de Janeiro (approximately 11,100) and São Paulo (approximately 10,700).